The following is a guest post by Suzanne Burdon, author of Almost Invincible. If you would like to write a guest post on my blog, please send me an e-mail at contact@cecilesune.com. Halloween – ghoulies and ghosties and long-legged beasties and things that go bump in the night. Whatever the early pagan or Christian origins of All Hallows’ Eve, the creatures of the netherworld are now thoroughly celebrated or lampooned, depending on your perspective, on October 31st. These are the creatures of the ‘natural’ world, but on a stormy night in 1816, Mary Shelley conceived a man-made monster that was to capture the imagination of generations and spawn many ‘hideous progeny’. On All Hallows’ Eve in 1831, the Frankenstein novel that most people read today was reprinted and published in a one-volume popular format instead of the three volumes usual for the time, which gave it an even wider audience. The novel had already had considerable success since it was originally released in 1818 and almost immediately captured the popular imagination. Its fame was boosted by stage adaptations, notably Presumption; or, the Fate of Frankenstein, which played at the Royal Opera House in London in 1823. Mary went to see the production and though she admitted that they had not followed the story closely, she thought it was well done. There were thunderstorms and a collapsing glacier and the monster was so suitably scary that women in the audience fainted. It is lucky that Mary was not precious about the representation of her work or she would surely be endlessly rotating in her grave. The themes and imagery from the novel have been recast into cartoons, music, plays, comedies, TV series and almost a hundred movies. The most iconic representation was, of course, Boris Karloff as the monster in the 1931 Hammer Horror movie adaption, with the monobrow and bolts through his neck. Frankenstein’s screen history started in 1910 in the first silent film from Edison studios and continues with new 2015 movie with James McAvoy and Daniel Radcliffe. The story has been analyzed and intellectualized endlessly, but the common, horror aspect of most incarnations has been the creation of an animated monster by human agency, and the failure to control it thereafter. Victor Frankenstein is a mad scientist who plays God and then refuses to take responsibility for his creation. The vulnerabilities of the characters and the moral and social implications of the original story are mostly marginalized. The abiding horror is contemplating human vanity and frailty. 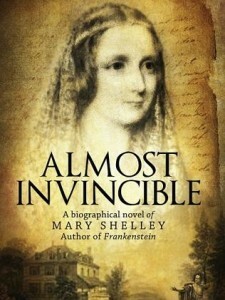 The scientific context of Frankenstein is more unexpected but was a result of her relationship with Shelley, the poet. When she eloped with him, Mary hadn’t realized the depth of his passion for chemical experiments, nor the potentially lethal impact of his obsession on working papers, tabletops or cushion covers, as smoke rose and glasses full of foul-coloured liquid shattered. Wires and crucibles of liquids would appear on the parlor table alongside the solar microscope and the extremely thumbed and stained copy of The Elements of Chemical Philosophy by Humphrey Davy. It didn’t add to their acceptability to landladies, but it did add to her inspiration for the science in Frankenstein. In the 1931 edition, published on October 31st, 1831, Mary added a new preface where she explained the circumstances in which the novel had been conceived. By that time, Shelley was dead and she was largely supporting herself with her writing. Her other novels were ‘by the Author of Frankenstein’. 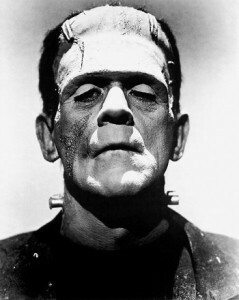 Frankenstein and his monster have passed into popular culture and show no signs of diminishing impact. Indeed with current forays into gene modification and limb replacement, it is still, potentially, very much a modern horror story. About the author and her work: Suzanne Burdon’s Website. Social researcher, academic, and author Suzanne Burdon's research for Almost Invincible has been extensive. She traveled to the UK, the US and Europe to maintain the authenticity of the story. The book whilst factually based, beautifully imagines the emotions, conversations, and some of the mysteries surrounding Mary Shelley's life. Burdon says of writing the book, 'Amongst the volumes of extant information and many complex biographies I glimpsed a Mary who was a teenage rebel, a grieving mother, a determined author and a long-suffering lover of a man well ahead of his time. It made me want to tell her story.' Suzanne is British and currently lives in Sydney, Australia.